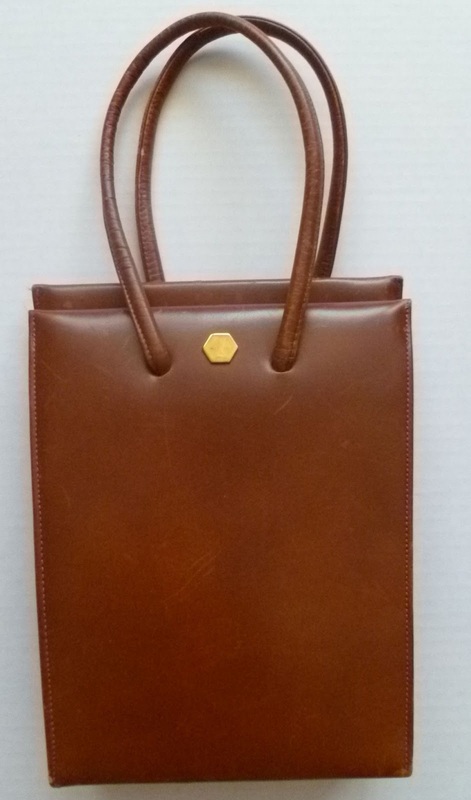 Classic Leather Handbag. 1960s. Maker: DeLiso Debs by Lennox. Wonderful dark caramel-colored, very well-made leather purse. Unusual trapezoid (?) shape. Closure consists of intentionally stiff side hinges, and has to be pried open, then snaps shut. Decorative hexagonal brass piece at the top. Inner pocket. Includes mirror and plastic comb with the Lennox Bags imprint. I found this in a local “junque”/antiques/collectibles store, which is pretty much a huge warehouse. 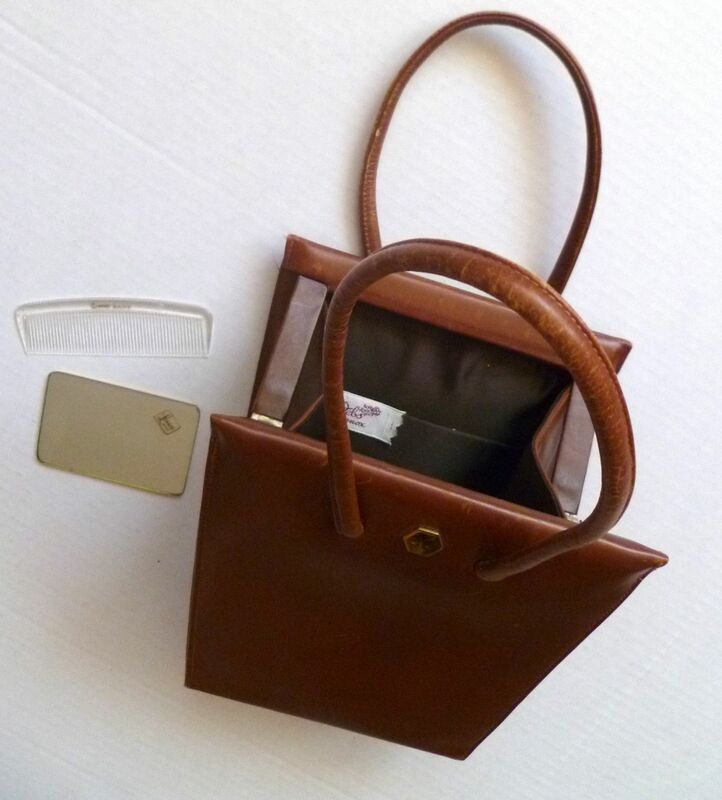 I knew it was special when I felt around for the purse, which was hidden under some scarves and other clothing. Still, I was surprised to see the DeLiso Debs label. As far as I knew, DeLiso made shoes. Lovely vintage fashionista Dina, from MomoDeluxeVintage, knew they made purses and commented on my Facebook page that she once had a barrel-shaped DeLiso Debs handbag in the same color as mine. Bonus pic! 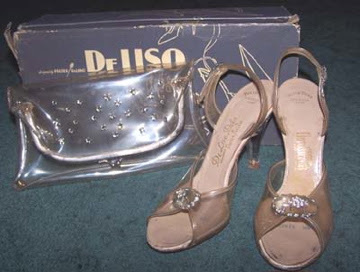 DeLiso Lucite heels with original box. I no longer have these beauties, as I gave them to a very stylish friend (with tiny feet!) who wears them much better than I.